Jodi Marks : Well, with the warm weather upon us, one of my favorite things of course is grilling. 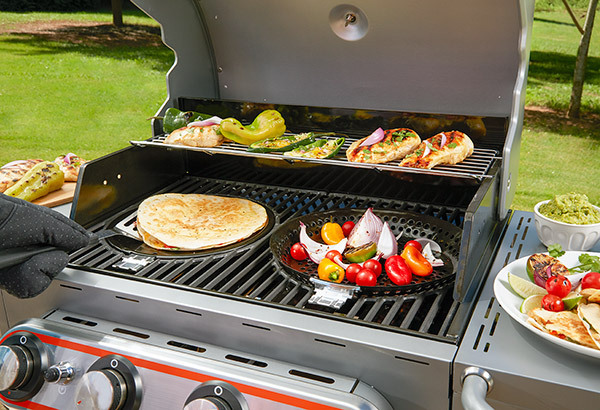 I love to grill outdoors, and you know – if you’re in the market for one – there’s a new kid on the block. 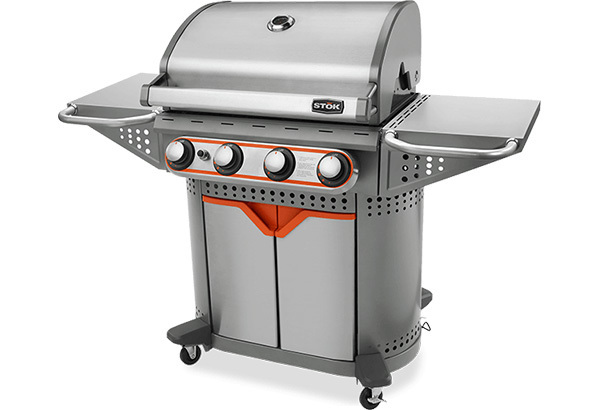 This grill is made by STOK. Now what I like about this is look at the beautiful construction of it. It’s very sturdy – stainless steel – and it’s called the Quattro. Now, the reason why they call it the Quattro is because you’ve got four burners. 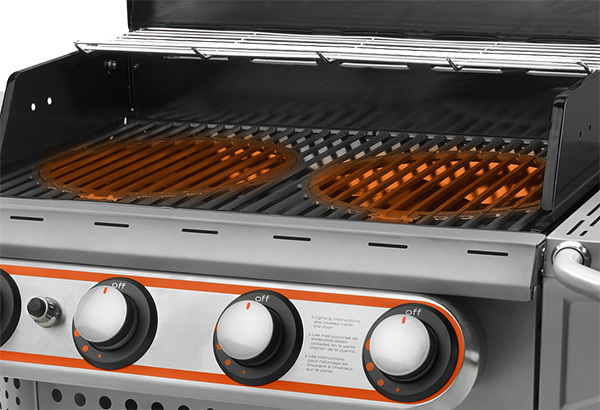 But take a look at this, you also have four options when using this grill. Now, you’ve got a nice grill surface here for all of your meats. But take a look at this, you’ve got two inserts here. I’m just going to pop out one, and I’m going to set it aside because I’m going to show you what you can put in here instead. Now, if you want to do steamed vegetables, there’s a vegetable tray right here. Also, if you want to do like some griddling for like some pancakes or some eggs, that’s a nice option. 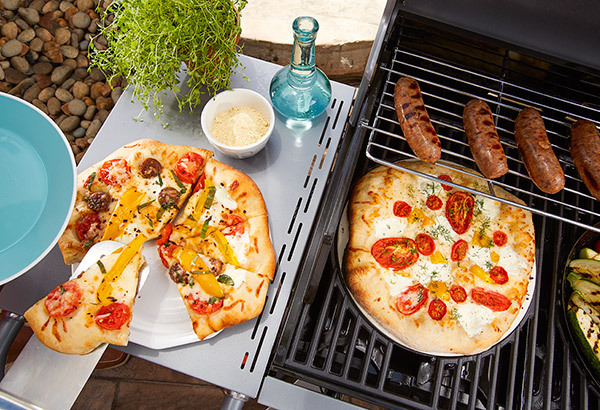 Or if the kids are screaming for pizza and you guys want steak, you can go ahead and pop your ceramic pizza tray right into place and have that pizza done in no time. Now, there’s a nice little area under here, too, for spices and for storing the different attachments. But I’ll tell you what, this is the first time I’ve seen it all in one place, and it’s at a great price point, too. It’s under $400. That’s a lot of savings, and I’ll tell you what, I’m stoked about it!